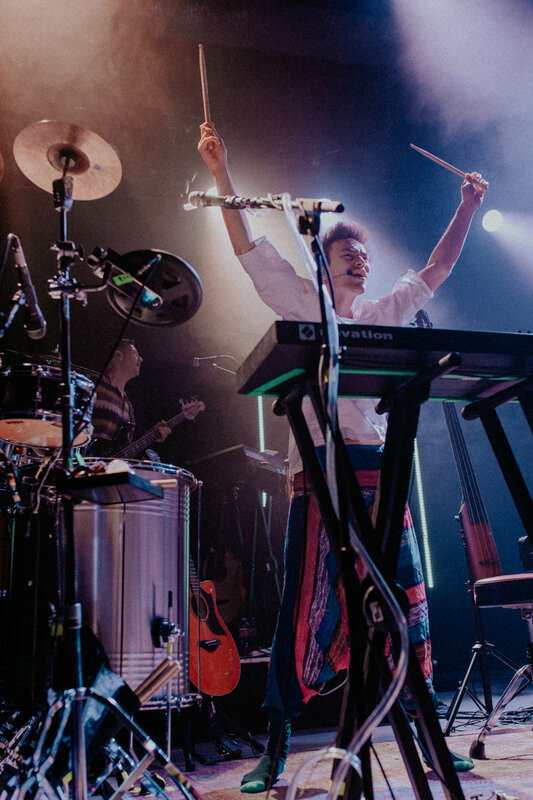 History was made last week when Jacob Collier made his way to Phoenix, Arizona for a captivating show that enchanted and mystified audience members all night. 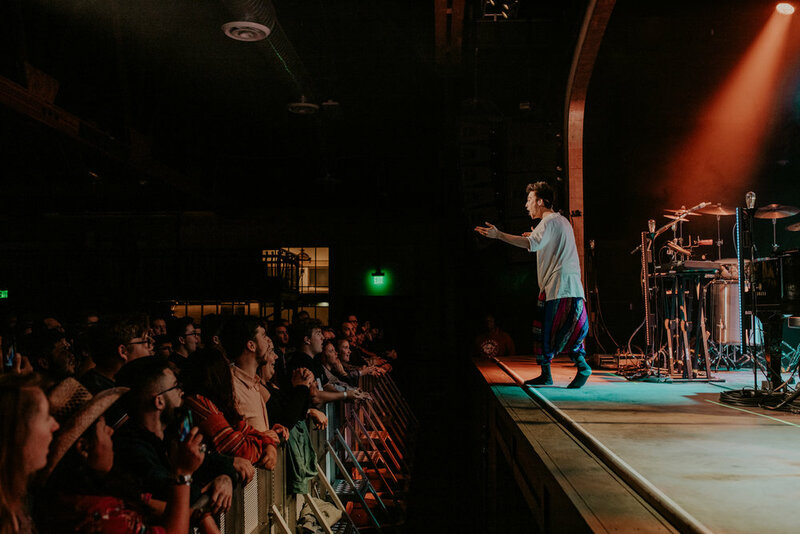 After Collier gained traction over the past few years with his one-man band (orchestra) act, seeing him live became a dream of mine which lasted a long time. My dream finally came true. 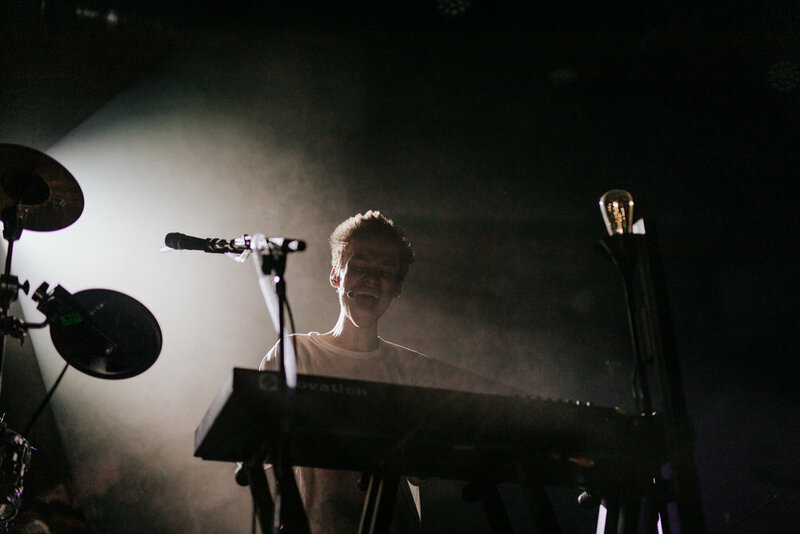 His unique blend of styles, ranging from Jazz, R&B, Electronic music and more has set him so far apart from other artists that he has essentially defined his own genre. The staging of Collier’s Djese tour is absolutely jaw dropping. There were instruments in every corner, ranging from multiple drum sets, a baby grand piano, and other world instruments that I had never seen before. 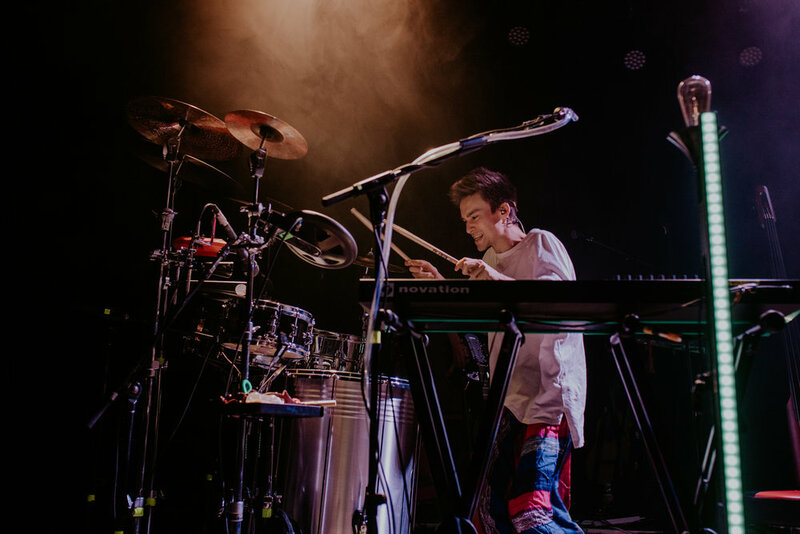 From the start, I was curious as to how he would pull of the orchestral and multilayered sound that is evident in his music with only two other band members. However, I had no doubt that he would execute it well, as Collier alone bounced between over 10 different instrument setups all night (like a complete madman, I might add). I have never seen someone run between instruments at his speed while still pulling off an immaculate sound. The constant layering, looping, and beautiful arrangements mixed with Colliers ethereal voice had me in a state of awe the entire time. Being in the pit for this show was unlike any experience I’ve had in music photography thusfar. 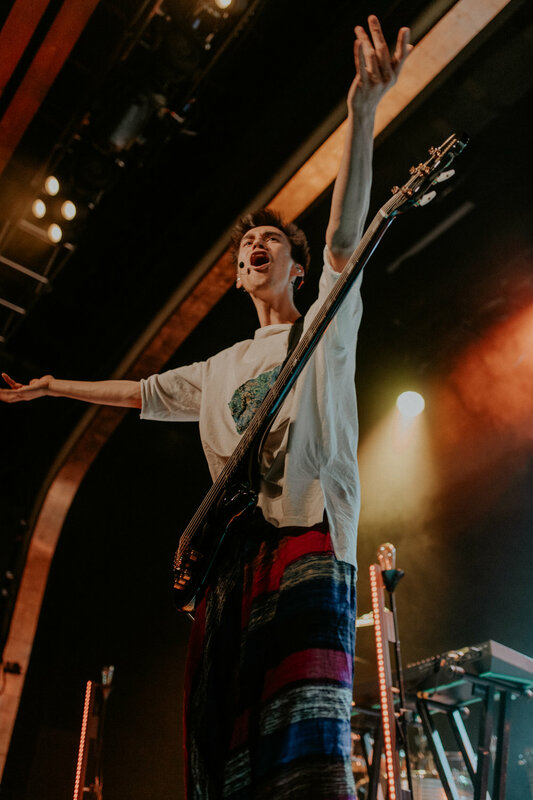 Jacob’s energy is animated, energetic, and quite eccentric in nature. 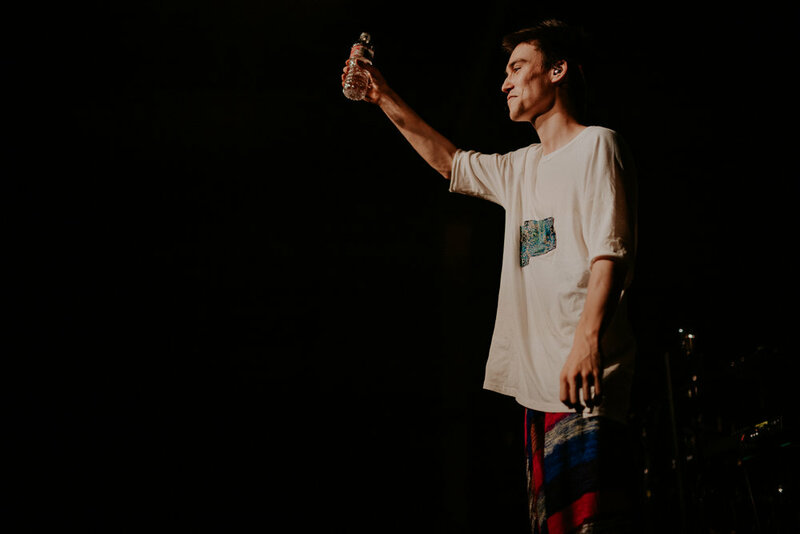 Being a multi Grammy winner, Jacob Collier has gained recognition worldwide. I had high expectations going in and by the end of the night he had exceeded them. His constant interaction with audience members, personality and soul puts the young talent in a very good position for years to come.